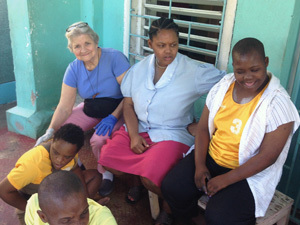 Our All Saints Mission Trip group travels to Kingston, Jamaica every February for a week to work with the Priests, Brothers and Sisters of the Missionaries of the Poor (MOP) founded by Father Richard Ho Lung. Experience the joy of becoming the hands, feet and heart of Jesus by serving the poorest of the poor in the ghettos of Kingston. 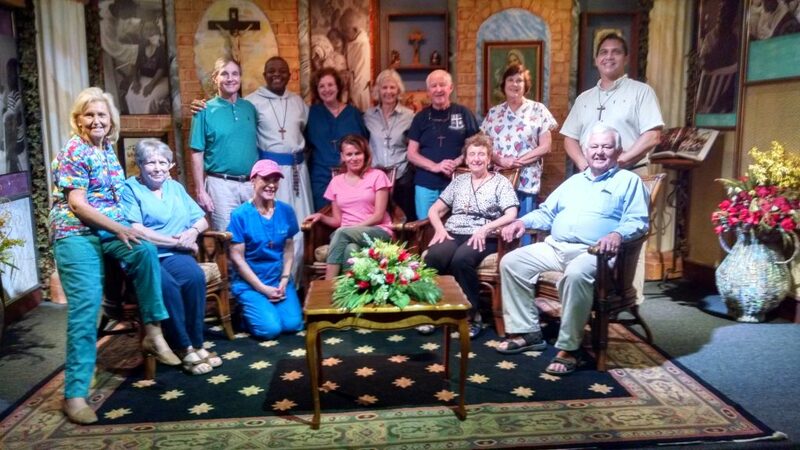 Volunteers assist the MOP Brothers and Sisters in their daily work of caring and ministering to the poor in the Centers for homeless and destitute. 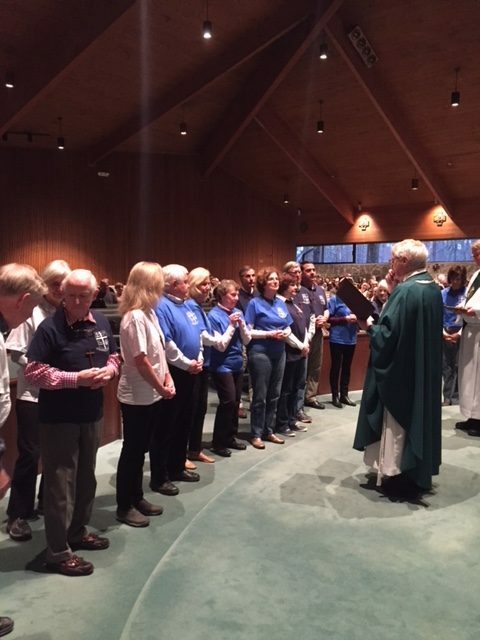 In addition to the daily work, volunteers share in the daily life of the MOP community, which includes Mass, hours of prayer, meals and lots of music! Mark your calendars now to be part of this amazing experience which combines the power of prayer and reflection with service to the very poor. 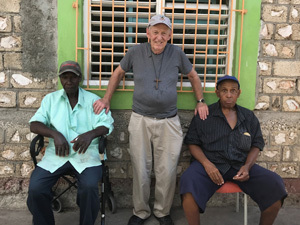 All Saints 2019 Mission Trip on February 11, 2019 to February 18, 2019 was a success! 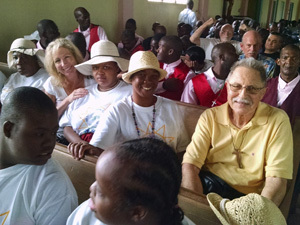 This year, a group of 15 All Saints parishioners left February 11th for Kingston, Jamaica to work and prayed with the Missionaries of the Poor (MOP). Thank you for supporting these volunteers through all your donations and prayers. 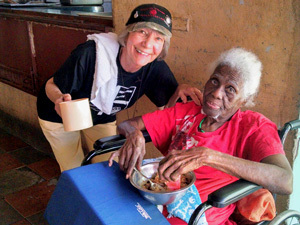 Many thanks for your care of the “poorest of the poor” and those who serve them! Time spent with the MOP is a life-changing experience. Visitors go home with a renewed faith, a new love for the poor, a new vision for their lives and plans to return and help again. Your personal prayer life will be enhanced as you get to see how the MOP Brothers and Sisters pray and learn of the devotions that sustain them spiritually. Seeing the simplicity of their lives, you will likely go home with a heightened sense of the materialism of western culture and an appreciation for a simpler way of life. 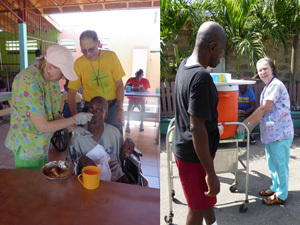 The service rendered to the poor is a pilgrimage of healing and renewal of faith. 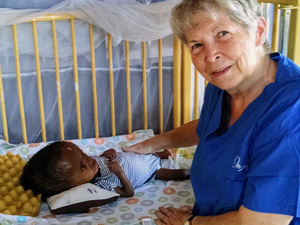 Cost: The cost of the All Saints Mission Trip is your plane ticket to and from Kingston plus a $150 donation to the Missionaries of the Poor to help cover the cost of meals, lodging and transportation while staying with the MOP. Our group travels together so flight numbers and times will be provided at the first informational meeting. 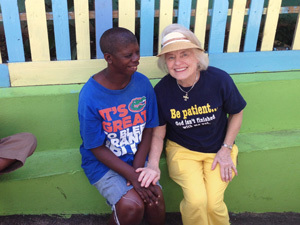 Questions, email missiontrip@allsaintsdunwoody.org or call Kitty Moots 770-734-9670. Photos from past Mission Trips. Thank you to everyone who donated their time and efforts! 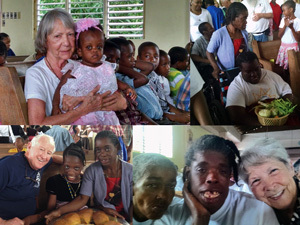 Beginning in 2006, All Saints parishioners began making a Mission Trip to Kingston, Jamaica in support of the Missionaries of the Poor (MOP) who daily feed, cloth, shelter and care for the poorest of the poor. Financial donations and many suit cases filled with the gifts of personal hygiene, clothing and medical supplies each year represent the generosity of All Saints parishioners and support the work of Fr. Richard Ho Lung and about 200 members of MOP who work in the slums of Kingston. This is truly been a parish wide effort and the Missionaries of the Poor are very grateful for our support. The Knights of Columbus, various Women’s Guild Circles, and Men’s Club have all worked to help this parish outreach for many years. The Preschool at All Saints has for several years chosen the Mission Trip for their Catholic Schools Week Service Project. Beyond the donations of money, food, clothing and medical supplies, perhaps the most important are the women and men who volunteer each year to make this spiritual and service journey. Each commits to sharing their love, joy and presence – the gift of being open, sharing and available for whatever task the MOP Brothers asked of us. In six separate facilities, the Missionaries of the Poor work with mentally and physically handicapped men, women, children and infants. 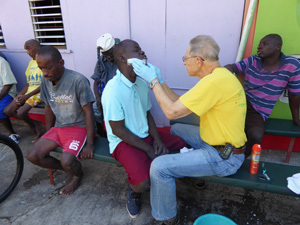 Some were picked up off the streets of Jamaica, some are abandoned by their families, others are referred by hospitals and families who found it impossible to provide continuing care. And how do these residents reflect God’s love back to us? In their heartfelt embrace as we enter their residences each morning. In the appreciation for feeding those who are blind, clothing those who are crippled, cleaning the floor of their dormitory, changing their soiled bed linens and bandaging their wounds. This message of Christ’s love for the poorest of the poor is both spiritual and effective. Through the efforts of Fr. Ho Lung and others, the Jamaican Parliament defeated proposed legislation to legalize abortion. However, this victory has stalled, but not ended, the legislative attempt to legalize killing the unborn. We were there to seen the steel beams that formed the roof of Holy Innocents – a home for expectant mothers and their unborn babies – as they were being fabricated. WE were there to see the facility open and providing shelter and care to expectant mothers who chose to give birth to their children. If the newborn do not remain with their mother, MOP will provide adoption services. And so the value of the gifts we received are always far greater than those we give – for it is to see anew the reflection of Christ in everyone – whether we meet them in Jamaica or Atlanta, whether across the business desk or the breakfast table, whether at home, work or in our parish community. 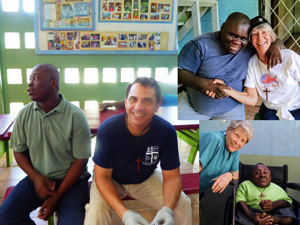 Please give prayerful consideration to joining our next Mission Trip in February. Information meetings are held in November and December. Please check the bulletin for meeting dates and times. We look forward to having you share in this unique spiritual and service experience that will change your life forever!